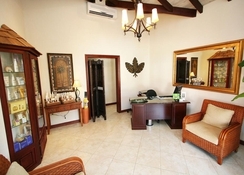 Sugar Cane Club Hotel & Spa is a semi-luxurious property celebrated among couples and honeymooners. It is famous for the amicable Caribbean hospitality and services it offers. All-inclusive in style, the hotel boasts two restaurants and two bars that serve various cuisines. Sugar Cane Club Hotel & Spa features 43 guestrooms that come divided into 40 one bedroom apartments, 2 two bedroom suites and 1 penthouse. Functional in style, all these accommodations are fitted with a modern kitchenette—you will find microwave fridge, electric stove, toaster, electric kettle and other kitchenware. Standard facilities worth a mention in the rooms include air conditioning, TV with satellite, safe deposit box, ceiling fan, en suite with bath amenities, telephone, WiFi internet and more. You can choose between rooms that have twin bed and double bed. 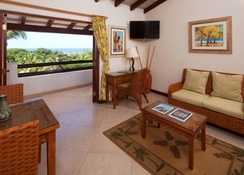 Spacious and well-decorated the rooms are promising—housekeeping and fresh linens and towels are provided daily. The hotel boasts two restaurants—the main restaurant serves breakfast, lunch and dinner in international buffet style. At breakfast you will find scores of continental items on the spread, freshly baked and served—while at lunch and dinner, the restaurant serves Caribbean and international cuisines. Alcoholic drinks are served to compliment the meals—in case you’re on a strict or special diet do inform the management in advance. The other restaurant offers a romantic setting, ideal to wine and dine in the evening. A la carte in style, the restaurant specialises in in Caribbean cuisine—an extensive bar menu is featured too. In addition, its two pool bars serve some remarkable mixes and infusions throughout the day. The hotel features a large outdoor swimming with complimentary loungers and parasols—there is a kid’s paddle pool in the adjoining. 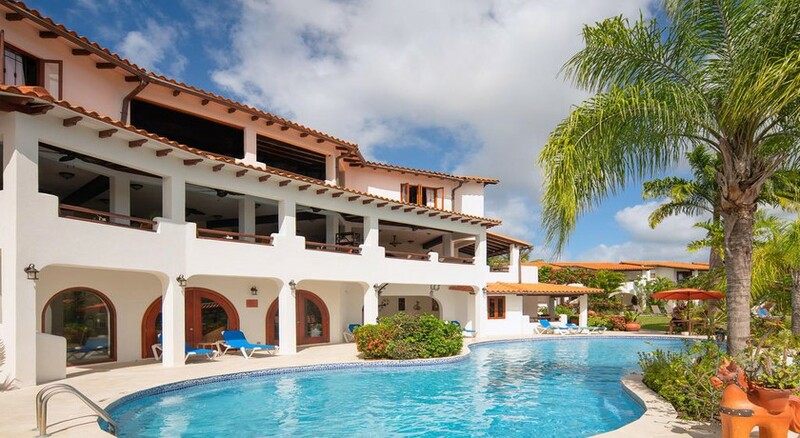 Food and drinks are served around the pool and you can play water polo, water volleyball and water gymnasium—approach the front desk for lilos and beach towels. Recreational and relaxing facilities in the hotel include outdoor whirlpool, squash court, fitness centre and a wellness centre that offers various massages. You can also look forward to relaxing in the pool bar, lounge, the lobby club and the splash pool. Evenings are quite entertaining as the animation team ensures you have a gala time. Do watch-out for the hotel’s weekly schedule board to partake in various games and activities. 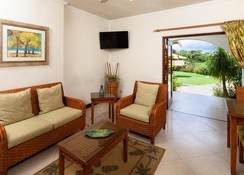 Sugar Cane Club Hotel & Spa is an all-inclusive property that offers 3.5 star facilities and services. Located a little over a kilometre from the nearest beach, the hotel is built overlooking the pool area and the neighbourhood. 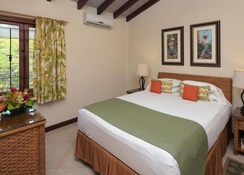 This hotel is mostly visited by couples, honeymooners, group travellers and families looking for a peaceful and relaxed holiday—situated in Maynards (Barbados) the neighbourhood is calm. There are few restaurants and bars in the immediate surroundings, but for more options you can walk towards the harbour which is hardly a kilometre. This part of the island is famous for numerous water sports activities, but you can consider land excursions and biking. 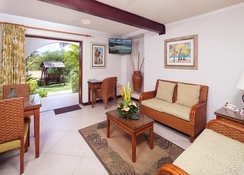 The hotel offers shuttle service to the beach and distance to Grantley Adams International Airport is 36 km.